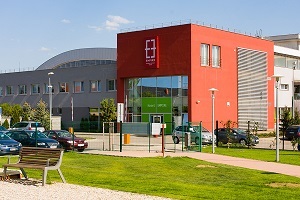 Holiday Inn Trnava is located in an attractive area of the city center. Generous space lobby bar and cafe in quality modern design are characteristic for the entire hotel, an ideal place for business meetings. The hotel can offer a strong conference capacity for up to 300-400 people. His whole right wing on the ground floor is dedicated to congresses, seminars, banquets and presentations. Spaces are together 900 m2, but they can be divided into smaller. Hotel Empire is one of the innovations on the four-star hotels offering high quality services. 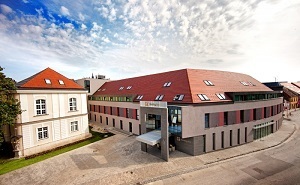 It is located near the ancient center of the city and is one of the most fashionable and stylish hotel in the wide area of Trnava. Empire Hotel offers 19 double rooms, 2 suites and 8 beds. 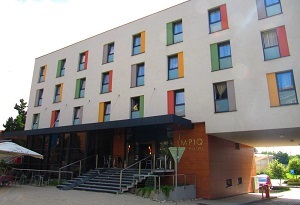 The new and modernly styled Impiq hotel is located in near the Centre of the city. In addition to the other benefits it enjoys excellent accessibility and its own spacious car park.The Hotel combines modern architecture and design with a cozy atmosphere and provides maximum comfort for travellers on business and leisure travellers. The hotel offers comfortable and modernly furnished rooms with a total capacity of 70 beds. Luxury Design Hotel Prestige **** designed by prominent Slovak designers specializing in hotel architecture. 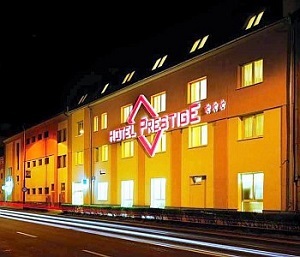 Strategic location near the center, easy access to the highway direction Bratislava, Žilina, Vienna and high standard of service to satisfy every guest. We offer you designer and functional solution 30 hotel rooms, fully air-conditioned barrier-free rooms, modern conference rooms and individual approach to each guest.